How many projects have these guys undertaken? 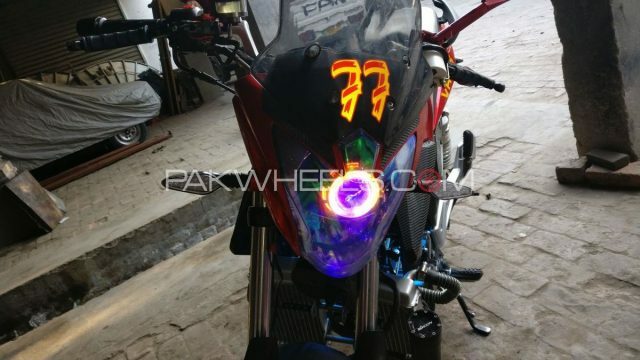 When I reached out to Waqar Ahmed (that’s the guy’ name), I only knew of one bike (RP Wego with a 250cc engine) which he had modified, but a phone call later I knew that I was dealing with a professional. 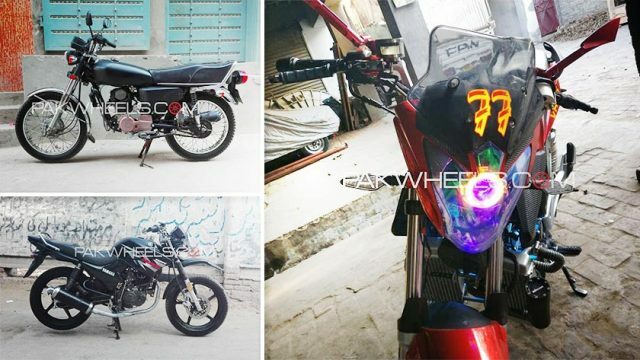 Waqar has a team of two mechanics, his expertise in laying out the plans and a warehouse located in Shahdara, Lahore to store his pet projects. 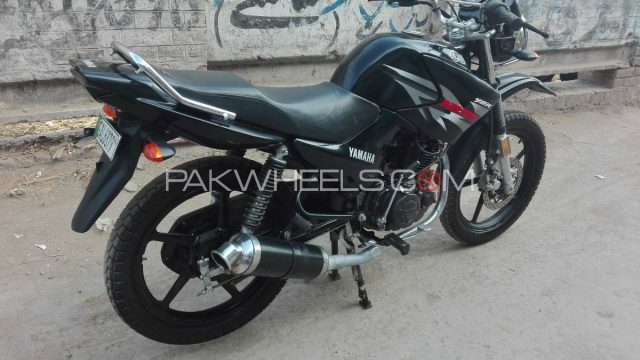 Both mechanics are Waqar’ old friends, and both are based in Lahore. Reportedly, Waqar’ projects end up selling before he even completes them, so he only has components and leftover machinery left in his garage. Nonetheless, following is an accumulation of the projects that were shared by Waqar with me. Since this bike has reaped its fair share of popularity in the past few days on social media, so I will start with this. 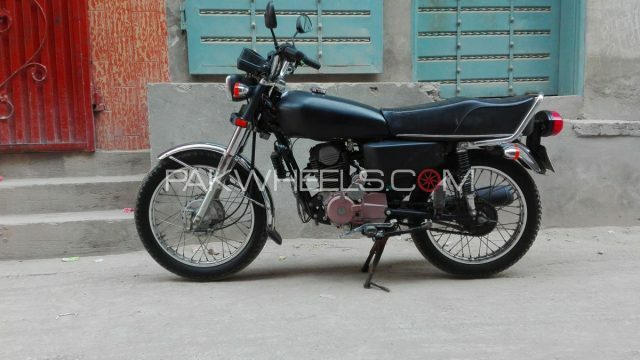 The bike in question is a Road Prince Wego but with a California CSC RX3 Cyclone 240 4-Valve engine. 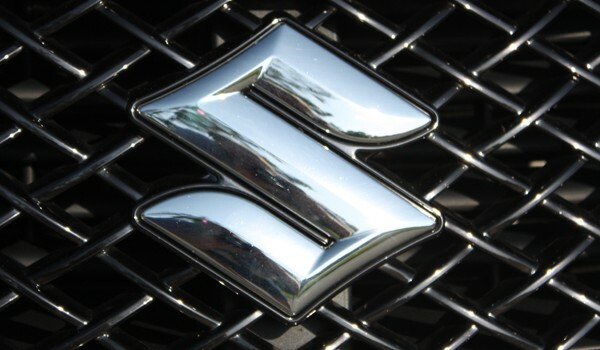 With 75.0 x 56.5 bore and stroke measurements, this engine is (reportedly) capable of delivering maximum power figures of 26bhp and 25.8Nm of torque. 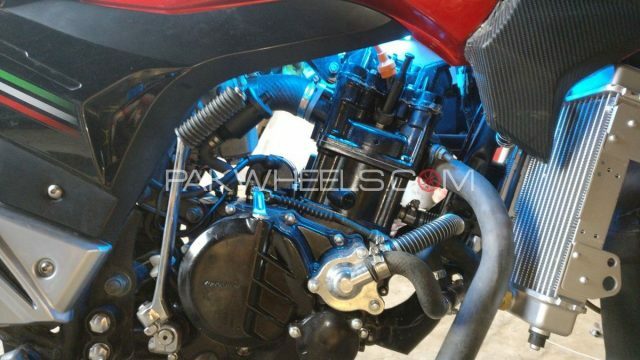 Apart from the engine replacement, this bike is also fitted with fully functional ABS disk brake system, performance air intake, and free flow exhaust system. This particular sleeper has a claimed performance figures of 0-60KMPH in under 4 seconds and 0-100 in just a blistering 7 seconds. Additionally, the 250cc OHC Yamaha engine has been imported from Japan, and all the electrical systems are completely operational. In terms of cost, this pet project of Mr. Waqar Ahmed has costed him an upward of 45 thousand rupees with a lot of work and hours. Because this bike’s frame had to be adjusted to make room for the big and bulky 180cc engine, special expertise was hired which elevated the cost of this particular project forty thousand rupees. 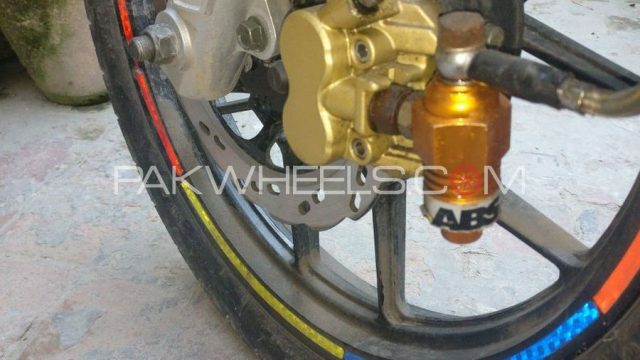 Despite the specialized treatment, tweaks, and adjustment, Waqar’s team has done an awesome job in retaining the factory product looks of YBR 125G. Most notably the bike in question can achieve a 0-100km/H in under 10 seconds. Last but not the least is a Honda CG125 turned into a 200cc monster. Don’t believe me? 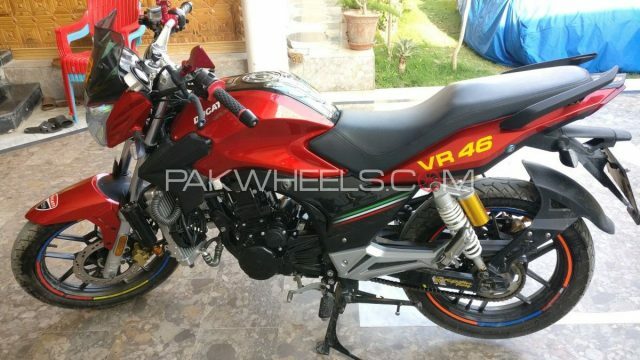 The bike in the below-attached picture is a special project from Waqar and his team. This particular motorbike was made on a special order, and by the looks of it, the team has managed to deliver a superb product. 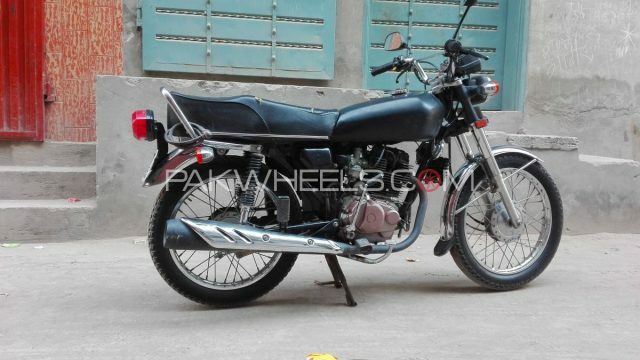 Honda 125 is also known as ‘The Royal Enfield’ of Pakistan in some circles, due to its design, presence in the local market and its ability to keep running in rough conditions. So for someone to take up the challenge to increase its power while ensuring the same longevity is a challenge like no other. Waqar’s team has fitted a 5-speed transmission to cope up with a 198 cc four-stroke single cylinder -Honda Tiger 2000′- engine. And if the engine alone wasn’t enough, the team has gone ahead and synced both, electric and kick starter to aid the rider. 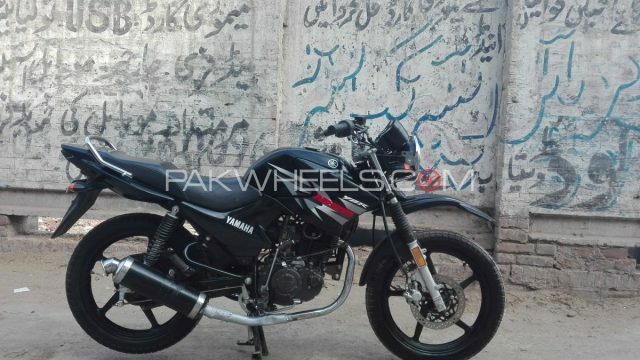 Waqar claims that this bike can achieve a 0-100kmp/h in under 8 seconds. Not bad for a Honda 125 turned into a Honda 200 Sleeper. And now we come to address the legalities, which Waqar and his team have to deal with when they undertake such projects. To start off, everything has to have a paper trail mainly because it is easy to justify this shipment in front of any law enforcement agency. The next step is to visit Excise and Customs Office with both Goods Declaration Form, sales receipt, registration book of the bike in question and any other required document. 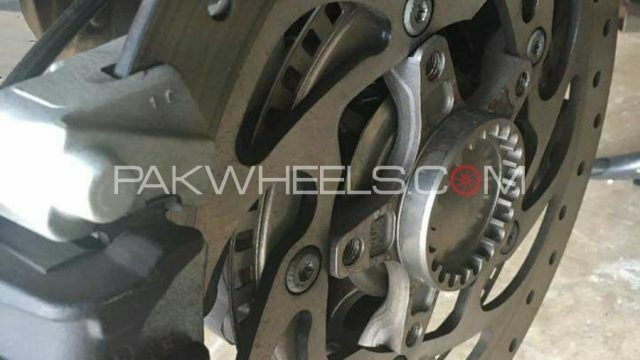 The procedure is long, but in a nutshell, Mr. Waqar Ahmed states that the previous engine was destroyed (beyond repair) and thus he has imported another engine to be fit inside the bike. 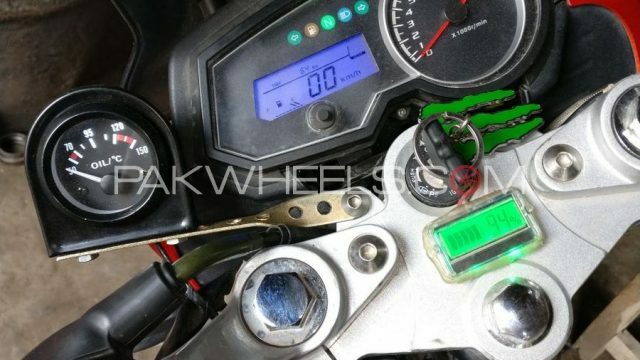 There is a minor fee of 1200 rupees, which needs to be paid and after that, the Custom & Excise Department’s representative will alter and specify the details of the new engine in the motorbike’s registration book. I will go ahead and admit that there are certainly some ambiguities in the information mentioned above; but as mentioned earlier, there will be a follow-up article which will be aimed to address the finer aspects of this (initial) compilation. In case, you’ve any questions please let me know!